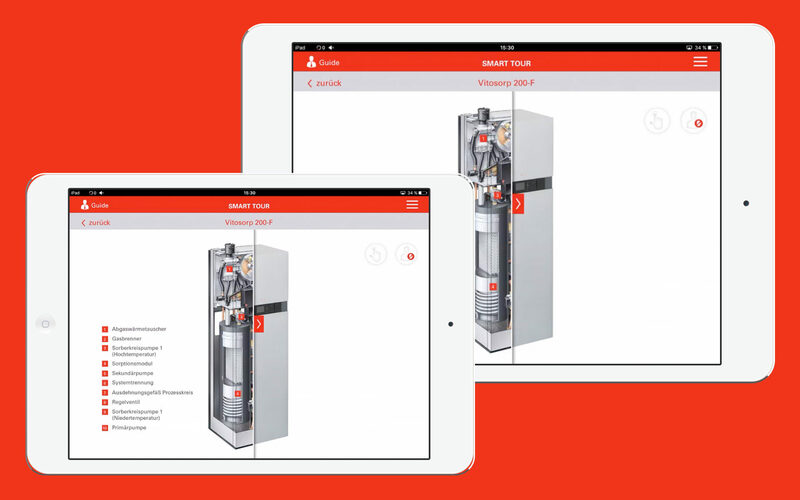 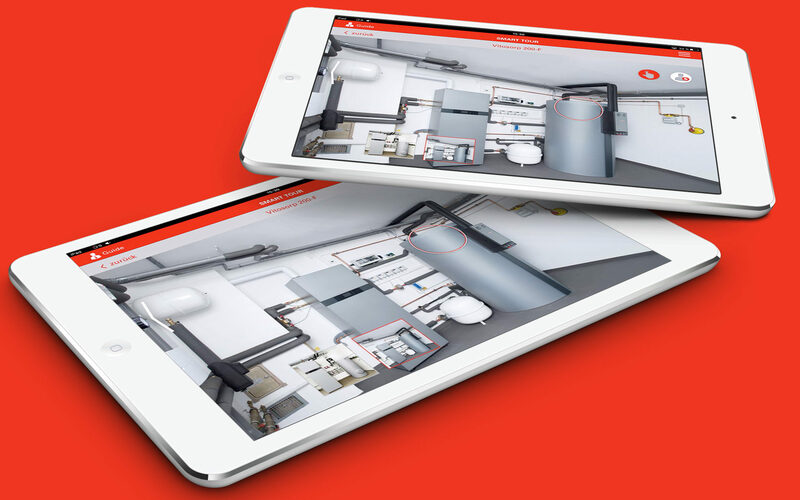 This tour guide iPad-App for the Viessmann headquater showroom connects accross several devices. 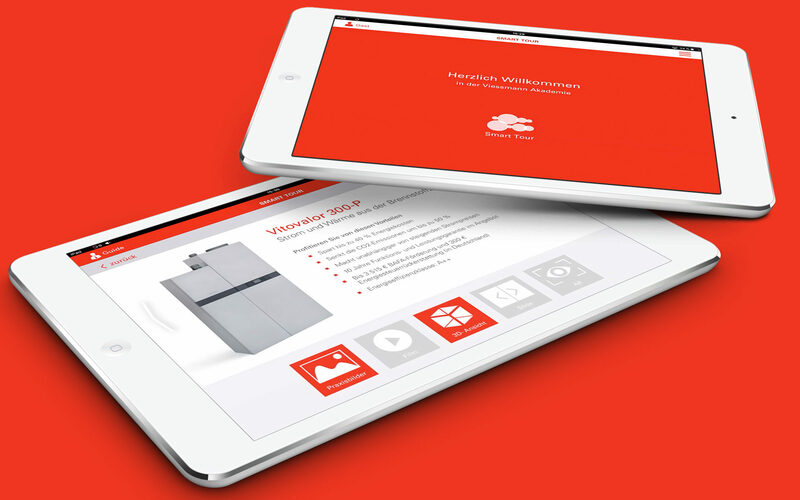 The tour guide controls the contents that is displayed on the visitor devices. 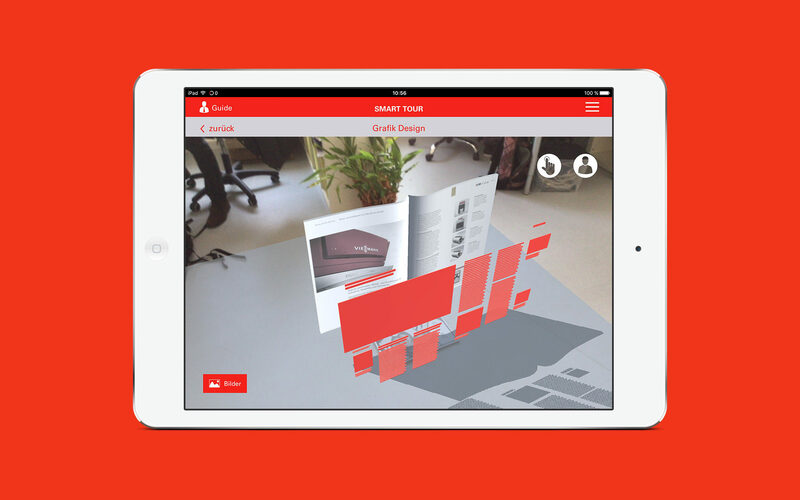 The app features augmented reality views, realtime 3D Models, slideshows, synchronised video playback, image sliders. 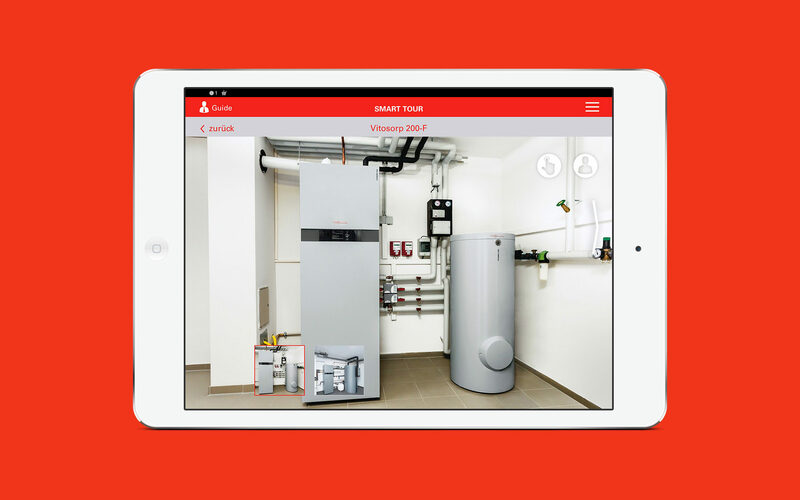 It also comes with a basket integration: visitors can save what they are interested in and will receive further information after the tour via e-mail. 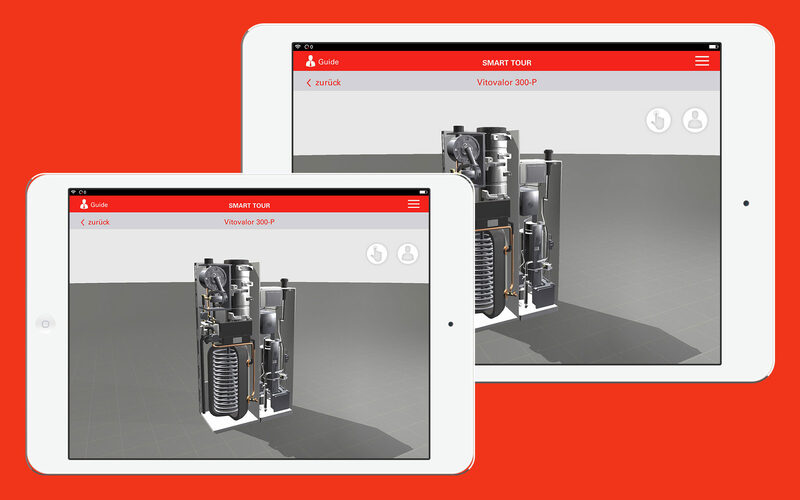 The app was made for iPad min in Unity and commissioned by dreiform.